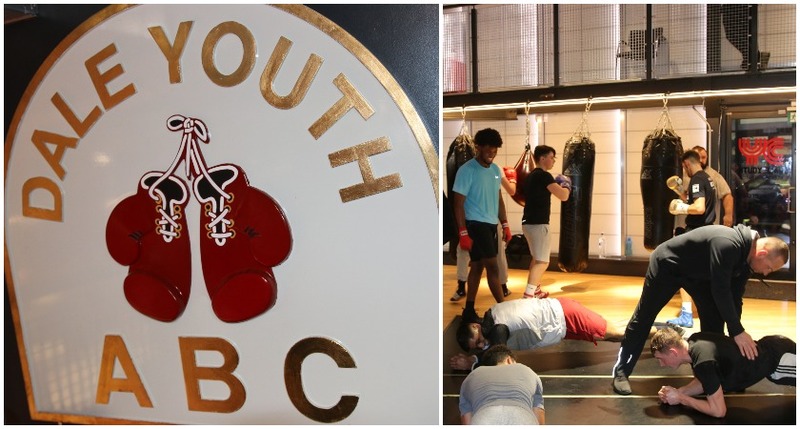 AN amateur boxing club that lost its gym in the Grenfell Tower blaze last year has been granted a huge £10,733.33 cheque thanks to the Lighthouse Club construction industry charity. Dale Youth ABC – recently the subject of a DIY SOS episode which featured the building of their new gym – was left homeless after the devastating fire on June 14, 2017. Back in May this year, the inaugural Lighthouse Club Charity Boxing Gala saw thousands raised for the boxing club via the auction of memorabilia including lots signed by world heavyweight champion Anthony Joshua. The Gala – made possible through the support of media partner The Irish Post and sponsors DRS Bond Management, Coinford Construction and Gallagher Group – raised over £100,000 for various causes on the night at London Hilton on Park Lane. 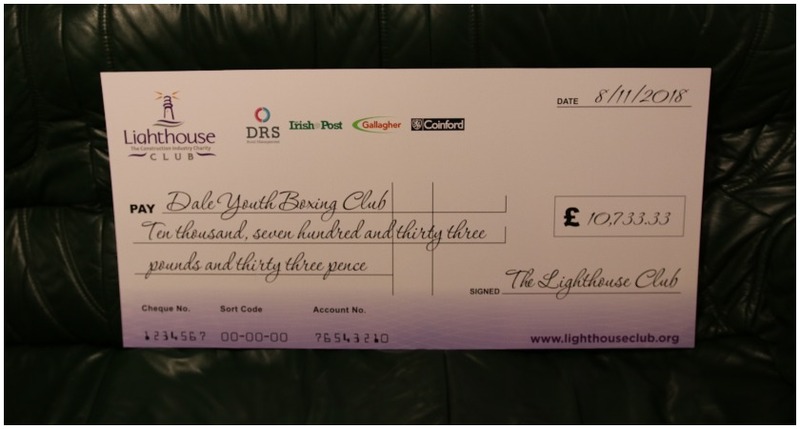 And finally this week, Lighthouse Club chairman Cormac MacCrann, CEO Bill Hill, and trustee Lyndsey Gallagher made the trip to see Dale Youth ABC's new home in Ladbroke Grove, west London, and presented head coach Mick Delaney with a cheque for the amount raised for the club at the Gala. Lighthouse Club is a construction industry charity which runs a 24-hour support line available to those working in the construction industry and their families. Support on legal, tax and debt management matters. The charity is delighted to confirm that the second installment of the Lighthouse Club Charity Boxing Gala will take place May 7, 2020 at the London Hilton on Park Lane.